Kanye West was mobbed by dozens of fans after jumping into Swan Lake during a concert in Armenia. Kim Kardashian’s husband had been giving a free concert in the capital, Yerevan. 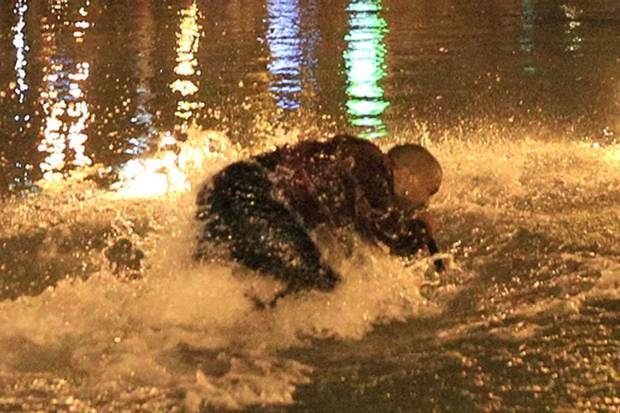 Security and police plucked Kanye West out of the scrum as photographers waded into Swan Lake to capture the melee. Kanye West has been in Armenia with Kim Kardashian on a high-profile trip to connect with her family’s heritage.